"BARCELONA IS A VERY OLD CITY IN WHICH YOU CAN FEEL THE WEIGHT OF HISTORY; IT IS HAUNTED BY HISTORY. YOU CANNOT WALK AROUND IT WITHOUT PERCEIVING IT." 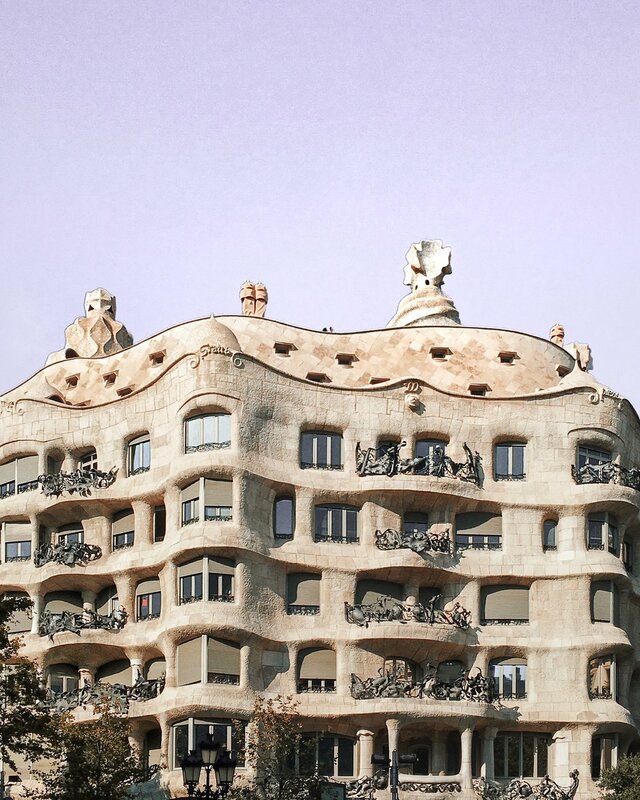 Everyone visiting Barcelona knows well that Casa Batlló is one of the must-visit places. With its breathtaking façade covered with mosaic made of broken ceramic tiles, it's often called the "house of the dragon" or the "house of bones" by the locals and it's the most fantastic and original building in the city. A masterpiece of shapes and colours! Another two beautiful buildings worth a visit and a photograph - Casa Amatller and Casa Milà (La Pedrera) with its unique rooftop design - are just nearby, on the same street. Barcelona's most famous square situated just off La Rambla. Built in the 19th century on the remains of the Capuchin convent of Santa Madrona, now serves as a popular meeting point for locals and visitors. Whilst walking around the palm trees, pay attention to the beautiful lanterns, which are an example of Antoni Gaudí's earliest work. Situated just in the heart of the Barri Gòtic and with its splendidly decorated main facade, the cathedral is a renowned example of Catalan Gothic architecture dating from the 14th century. It has an amazing courtyard full of plants and... wait for it... geese! Inspired by nature and designed by A. Gaudí and described as "the most extraordinary personal interpretation of Gothic architecture since the Middle Ages" by P. Golderberg, the famous basilica has been built for over 135 years and proudly stands up amongst all the buildings in Barcelona. 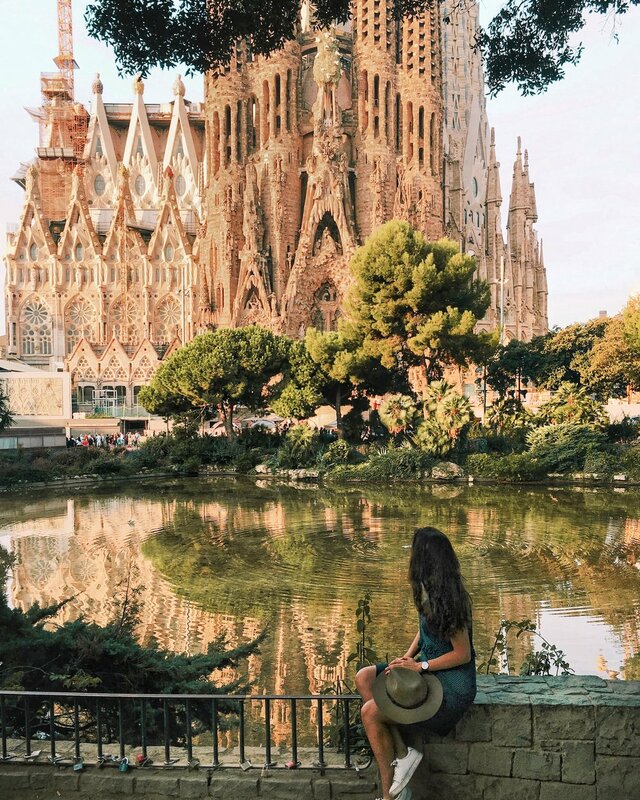 Climb up to the top to admire the views of the city, walk towards the church from Carrer de Sardenya or stroll around Plaça de Gaudí for perfect shots. If you're looking for the most scenic view of the city, come here. And just before the sunset! These abandoned anti-aircraft defenses are tucked away on a hilltop of the Turó de la Rovira, and every day people, mostly locals, climb up here to admire the 360-degree views. I loved it here. 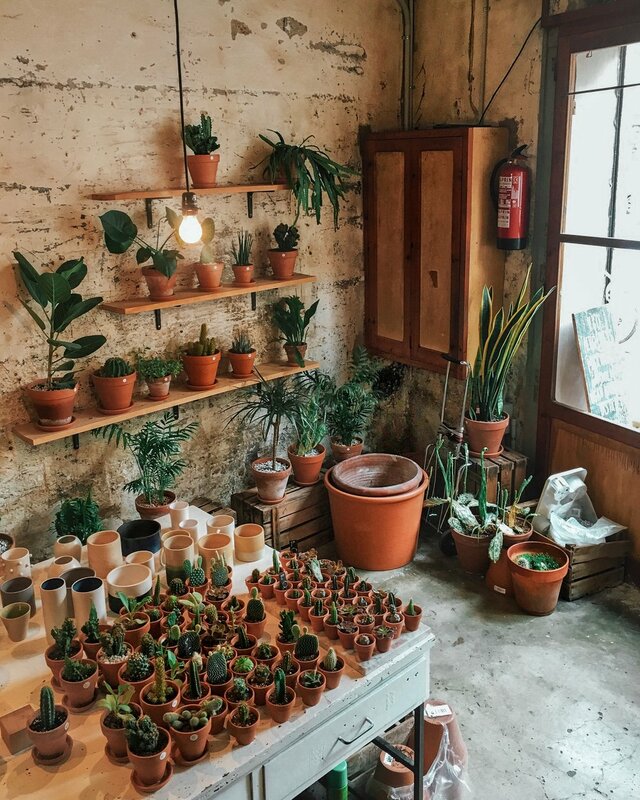 A charming concept store and creative space dedicated to coffee, plants and design. It's this kind of place where you can stay and work all day! The former hospital, dating back to the 15th century and restored by two Catalan architects, is the world's largest Art Noveau complex and was awarded UNESCO World Heritage Site status in 1997. A colourful place with gorgeous façades, glass-stained windows, mosaics and other beautiful elements. Park Güell is the true essence of Catalan modernism and offers wonderful views of Barcelona from the world of colours, shapes and plants. Make sure you're here early in the morning or just before sunset since only then the delicate sunshine makes the park look even more magical than it already is. 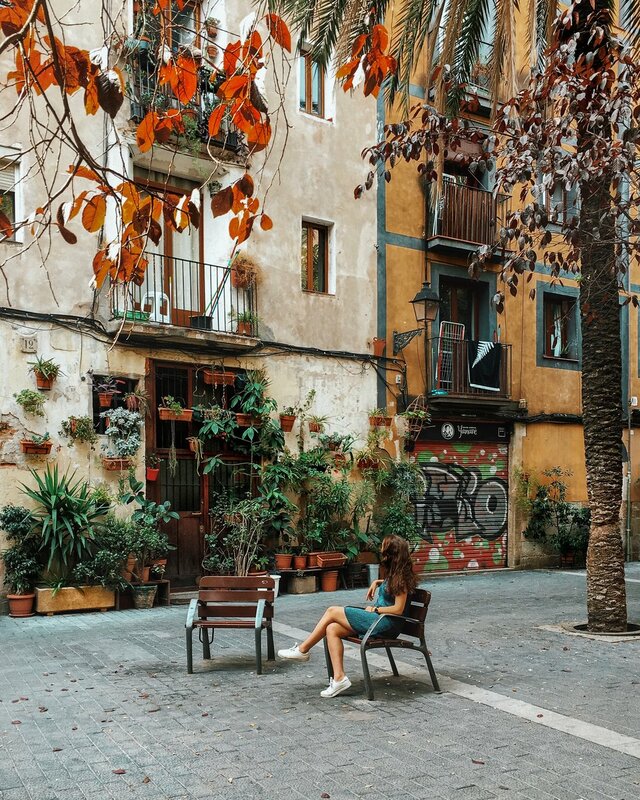 Arguably one of the most enchanting neighbourhoods in Barcelona, the Gothic Quarter offers a mixture of history, charm and beauty. Escape the sun and get lost in the labyrinth of narrow medieval streets and hidden squares. One of my favourite spots: Pont del Bisbe. They proudly call themselves "the house for the food lovers" for a good reason. A flexible menu acommodating all dietary requirements, serving healty, organic dishes. Their lunch set menu is mindblowing! The spot for coffee obsessives based in a picturesque narrow passage in the Gothic Quarter. An amazing self roast coffee served by knowledgable baristas in a minimal, modern setting. One of the top most recommended places by my followers, serving colourful meals with a wide choice of vegetarian/vegan options. Quirky spot with a very relaxing atmosphere. The coffee is served from an old silver Citroen van in a converted warehouse space of Espai 88 in El Poblenou. A gorgeous little gem hidden away in the Gothic Quarter, serving some of the best specialty coffee in the city since 2012.